(b. 1460/65, Leiden, d. 1490, Haarlem). Tempera on panel, 26,8 x 20,5 cm. 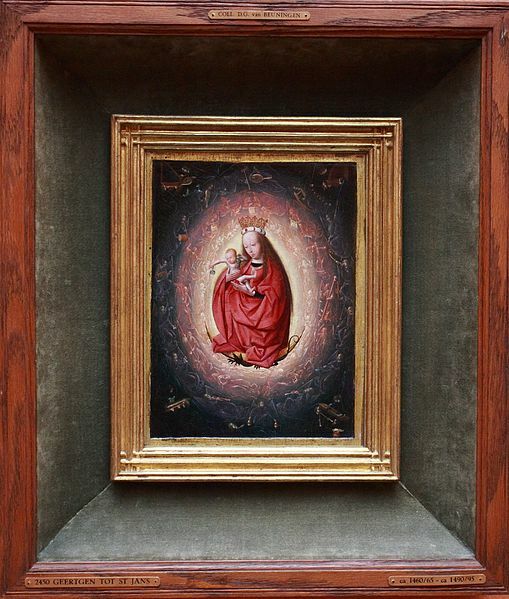 This small painting of the Madonna depicts a fragile female figure holding her newborn together with a vanquished dragon. 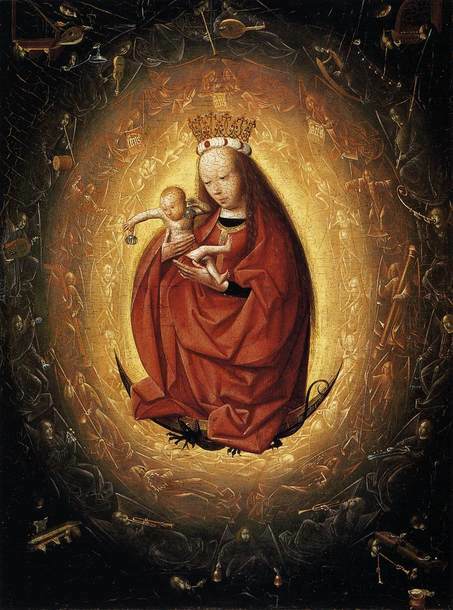 The artist indicates her floating, vision-like quality with the use of fantastic lighting and an army of angels in concentric circles. 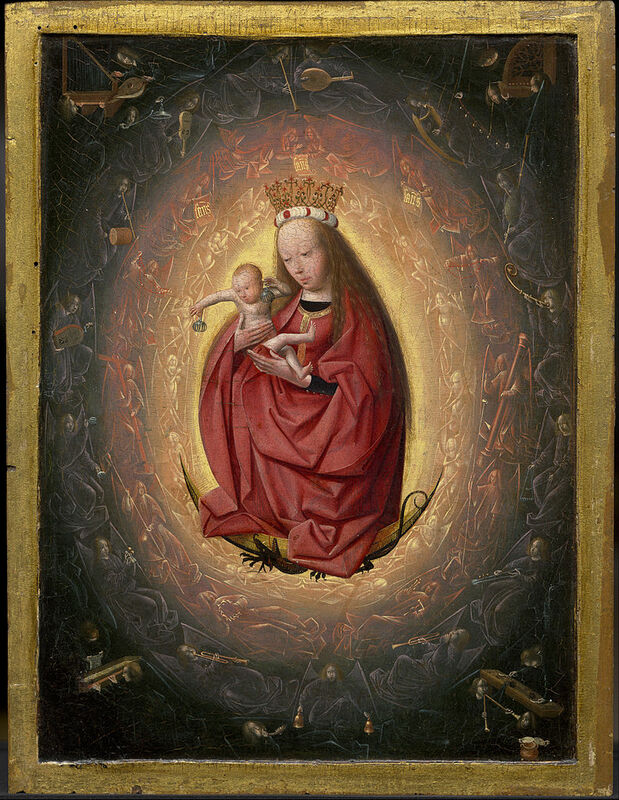 By arranging the choir of angels in a manner reminiscent of spheres, it is also expressed that the infant Jesus in the centre of the picture is the ruler of the Universe. With a sweeping gesture and a look of concentration, the infant is shaking two bells, as if to be in concert with the angel doing the same thing on the left side of the picture. They are definitely looking at each other, and since they are the only two doing this, the action has special significance: it shows the "conductor" Jesus in the role of the universe's prime mover. Thus the painting clearly expresses a concept formulated by St Thomas Aquinas, according to which Jesus created the harmony of the spheres..